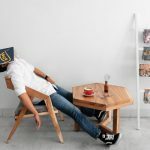 MySleepyFerret » Sleep Guides » Does Green Tea Make You Sleepy? Green tea has become popular recently in the Western world, with greater awareness of its special properties, and a greater demand for natural products and home remedies. The English are also passionate about drinking tea today since centuries ago, with the popular ‘five o’clock’ hour tea break time in Britain. We also find Asian countries like India, China, Japan consume large quantities of the tea. 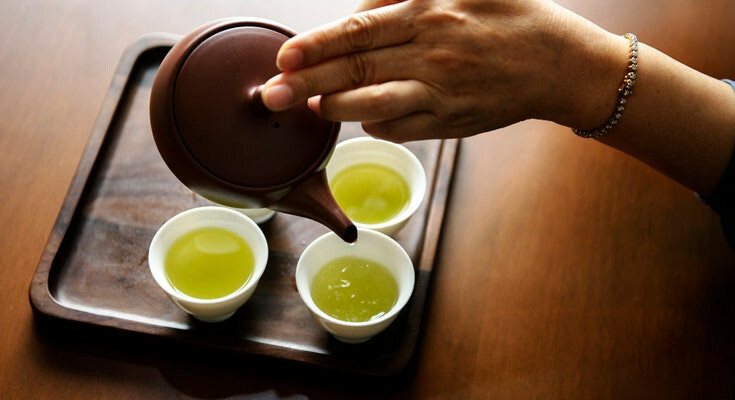 The history of green tea is long, Asian legends suggest the consumption of tea be at least 4,000 years old, with Chinese legends of green tea first being brewed during a time when the Gods reign on Earth. You can read more about the history of green tea from The Green Tea Book by Lester A. Mitscher. Since then, the process of growing, treating, and using green tea has become a tradition and practice for Asian people. And now, we see its trending popularity in America. So how does green tea help you and your sleep? Is there such a thing as drinking too much green tea? What are the benefits of drinking the tea for our sleep? Read on to learn more as we examine these questions and more below. 1 Does Green Tea Help You Sleep? 2 Will Green Tea Keep Me From Sleeping? 3 Is Too Much Green Tea Bad for You? 3.1 So How Many Times a Day Should You Drink Green Tea? A psychoactive substance found in the tea known as l-theanine can promote a soothing relaxation feeling. This substance is a well-known relaxant for reducing stress and anxiety. The use of l-theanine can help us stay asleep for longer hours so we can rest easier. This is done by increasing the happy, relaxing brain chemicals while reducing the ones that “excite” us and are linked to stress. Warm hands seem to be associated by others as generous and caring. The hypothesis is that since birth, the warmth we feel is positively associated with a time when we were safe and cared for. Drinking hot can be provide a soothing and warm association to our past, and relax us for bedtime. The antioxidant properties of green tea help keep us healthy by eliminating free radicals in our body. Free radicals are byproduct molecules that come from breaking down food or exposure to tobacco smoke and radiation. They may play a role in causing cancer and other health conditions. There is also a laxative effect from green tea that supports digestion processes before bedtime. Constipation and indigestion can be a nuisance, especially so during the late of night time when we should be asleep. Drinking the tea can help the body detox and reduce or eliminate potential digestion problems. This, in turn, can improve our overall mood, weight loss, and quality of sleep. Did you know? Each serving of green tea has only 2 calories, with 99% of the drink containing water. We can stay hydrated throughout the day, feel wakeful and energetic, and cut down on the food or drinks that add to our weight. Green tea lacks substances such as sugar and very few calories that can stimulate our body and mind at night. In moderation, this green tea can help promote proper rest and recovery as you sleep. Will Green Tea Keep Me From Sleeping? There is caffeine in green tea, but it can be removed. Green tea comes from the same plant as black tea called Camellia Sinensis. Black tea is known to have higher concentrations of caffeine per milligram compared to green tea. The difference between the two lies in the fermentation and oxidation process. During these two stages, green tea does contain a modest amount of caffeine but is offset by the amino acid l-theanine. This does make green tea a great stimulant like coffee without the jitteriness, but this does mean the tea can keep us up at night. Decaffeinated tea includes an additional process that extracts the caffeine from the tea. There are several ways for the caffeine to be extracted from any tea. The methods are similar to those used for decaffeinating coffee beans. We won’t cover it in this article, but you can learn more about the process by visiting here. If you want to ensure green tea won’t keep you up at night, then the best choice is to go with decaffeinated green tea. Need a recommendation? If you OK with making tea without tea bags, we highly recommend the Davidson’s Bulk decaf green tea leaves for the biggest bang for the buck. Tannins, a substance found in green tea, is responsible for the dry rough mouth taste that occurs when you drink a lot of tea. They can be found in wine, plants, seeds, bark, wood, leaves, and fruit skins. Some estimate that 50% of the dry weight of plant tea leaves is tannin. Although they are beneficial in some amounts, too much can be problematic. The substance can block the absorption of iron and folic acid. Both these two nutrients are essential during pregnancy for decreasing birth defects and improving the health of the mother who now needs to provide enough blood for two bodies. For this reason, health professionals recommend limiting the intake of green tea when women are pregnant. So How Many Times a Day Should You Drink Green Tea? The frequently cited recommendation is 2 to 3 cups per day. Even drinking less than 1 cup a day can be beneficial. From our research, 5 to 10 cups of green tea per day would be the upper limit. A cup or two of decaffeinated green tea before bedtime doesn’t sound like such a bad idea! I love the taste of green tea, it’s actually my afternoon drink of choice most days. Quite embarassingly though, I didn’t realize decaf was an option. For the last few years I’ve made myself stop drinking it in the evenings. Silly me, I’ll be buying some decaf next time I’m in the grocery store.